NASA’s Ikhana Unmanned Aircraft System flew 19 missions to test and validate algorithms developed to provide advanced Detect-and-Avoid alerts to UAS pilots on the ground, to help determine standards for integration into the National Airspace System. As the wheels of NASA’s Ikhana Unmanned Aircraft System touched down June 30, 2016, a two-month flight test series came to a close, concluding an essential stage in the agency’s research into technologies that support safe integration of UAS into the National Airspace System. 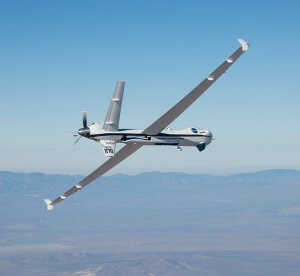 Flight Test Series 4 (FT4), which took place at Armstrong Flight Research Center in Edwards, Calif., began April 26, consisted of 19 flights over a nine-week period. The flights tested Detect-and-Avoid algorithms developed by NASA, General Atomics Aeronautical Systems, Inc., Honeywell, and other industry partners that, for the first time, could validate Minimum Operational Performance Standards, established by RTCA Special Committee 228. The algorithms successfully generated precise alerts necessary for the pilot controlling the Ikhana from the ground to remain well clear and avoid collisions. Two different NASA-developed algorithms were tested in the flight test series. The Java Architecture for Detect and Avoid Extensibility and Modeling, algorithm was developed by NASA’s Ames Research Center in Moffett Field, California, and works as an “auto-resolver” integrated with a pilot display. This algorithm is paired with the Vigilant Spirit Control Station display, developed by the Air Force Research Lab, which provides a tool for pilots to observe traffic and avoid inflight conflicts. 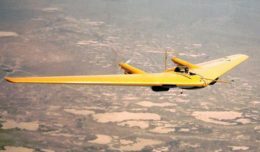 The other algorithm tested in FT4 was the NASA Langley Research Center’s Detect and Avoid Alerting Logic for Unmanned Systems (DAIDALUS), which helps determine conflicts and calculates the maneuvers necessary to maintain a safe distance between aircraft. To test these algorithms, over 260 scripted encounters were performed between the Ikhana and manned “intruder” aircraft. These intruders included NASA’s B200 King Air, T-34C, G-III and TG-14 aircraft, a Honeywell C-90 King Air, and a U.S. Air Force C-12 King Air, and all flew pre-determined flight paths, which subsequently triggered the DAA alerting and maneuver guidance logic for Ikhana’s pilot, allowing the aircraft to avoid collisions. The use of the DAA system onboard Ikhana demonstrated an airborne capability that can be achieved to make UAS flight as safe as or safer than current NAS operations. The intruders were equipped with different surveillance systems that identified them as either cooperative or non-cooperative aircraft, which is a real life aspect of NAS operations. 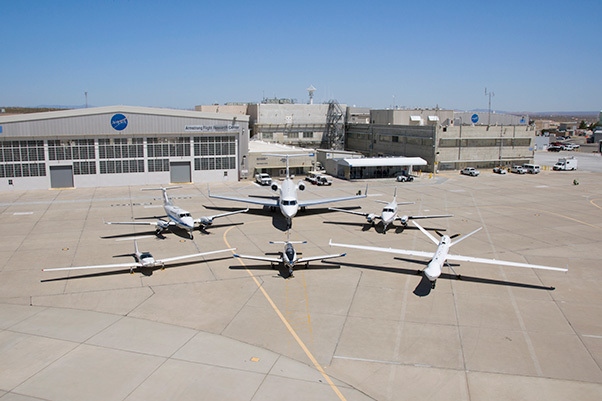 NASA’s Ikhana remotely piloted aircraft (front-right) is situated near NASA Armstrong Flight Research Center’s Hangar 4802 after an Unmanned Aircraft Systems Integration into the National Airspace System Flight Test Series 4 flight, along with five flight “intruders.” These intruders, which include NASA’s TG-14 (front-left), T-34C (front-center), B-200 King Air (back-left), Gulfstream-III (back-center) and a Honeywell C-90 King Air (back-right), fly within a pre-determined distance to Ikhana to test Detect-and-Avoid technology during research flights. Cooperative aircraft include those intruders capable of sharing their location, such as an Automatic Dependent Surveillance-Broadcast (ADS-B) system, Traffic Alert and Collision Avoidance System (TCAS), or a transponder facilitating traffic detection and resolution. Non-cooperative aircraft refer to intruders who either are not equipped with these systems, or have system failures and require an alternative means of detection. Including intruders with mixed equipage in the testing represents a more challenging environment, in which not all aircraft feature cooperative systems, according to Sam Kim, NASA’s UAS-NAS Integrated Test and Evaluation Project Engineer. “The only sensor currently being used to detect non-cooperative aircraft is the onboard air-to-air radar, and because the radar has limited detection ranges and uncertainties compared to cooperative sensors, the timeline for alerting and enabling pilot reaction is more compressed,” said Kim. In addition to pilot intervention, a number of encounters tested the DAA system’s interoperability with automatic collision avoidance maneuvers, performed using TCAS. The TCAS maneuvering was one of the objectives for testing and the collision avoidance performed successfully. Mike Marston, lead operations engineer for Armstrong’s Integrated Test and Evaluation, who supported the flights as chief test conductor, indicated that TCAS testing was necessary, given the autopilot’s capabilities. 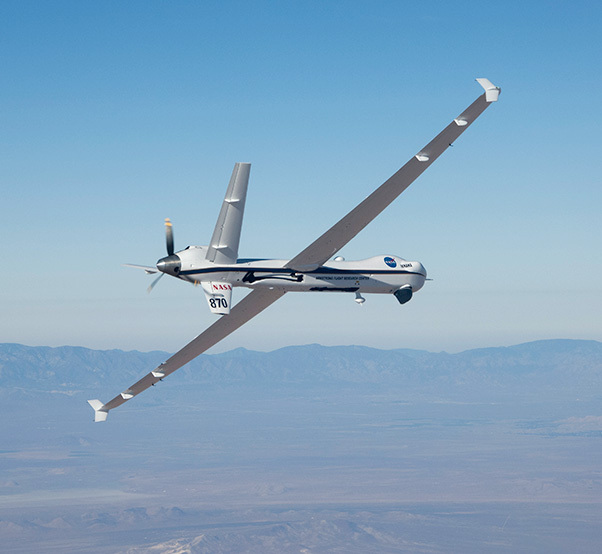 FT4 applied data collected from its predecessor, Flight Test Series 3, and was conducted following several years of groundwork efforts between NASA and its partners on the UAS-NAS project, including GA-ASI. Data collected from the flight test series will be used by RTCA SC-228 to define DAA performance standards as a first phase to enable routine NAS access for UAS.